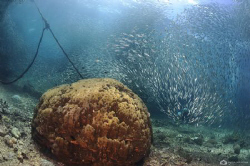 Pescador Island - one of the best spots around Cebu, great wall dives, cave as well as beautiful corals. 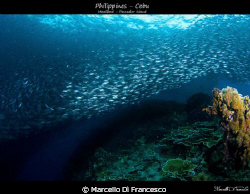 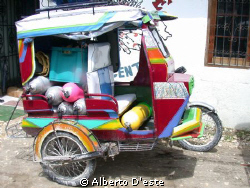 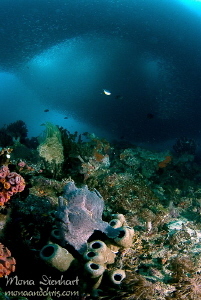 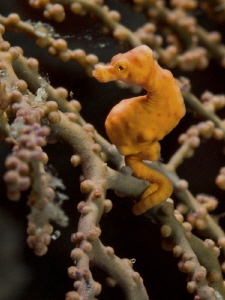 Pescador Island - Moalboal - Cebu - Philippines is in the Bohol Sea. 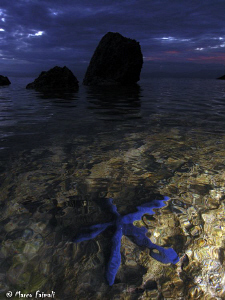 Blu star after the sunset! 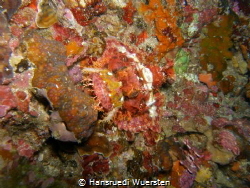 (Compact camera Nikon Coolpix 8400 in Ikelite Housing and two Epoque ES-150 DS Strobes). 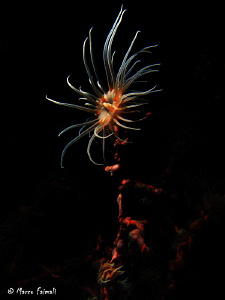 Tentacular flower...... (Compact camera Nikon Coolpix 8400 in Ikelite Housing and two Epoque ES-150 DS Strobes). 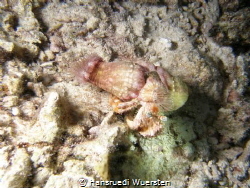 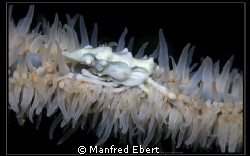 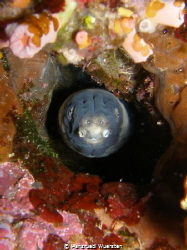 this small Xeno Crab are sitting on a small Gorgoina. 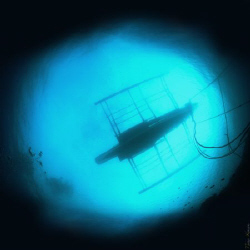 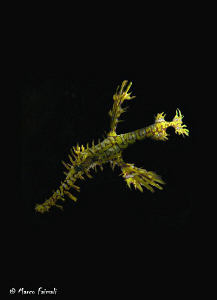 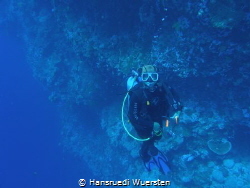 It was on a Drop Off in 34 m deep. 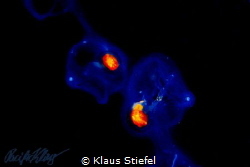 I take the Foto with a Canon 5D MK II with a 100 mm Makro Lense from Canon and a Wet Diopter 3:1. 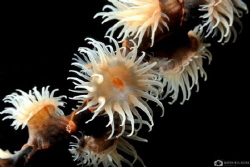 The Flash came from a Subtronic Pro 160. 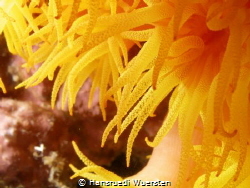 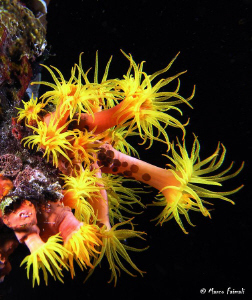 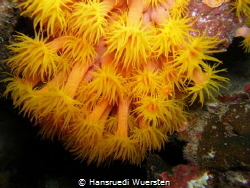 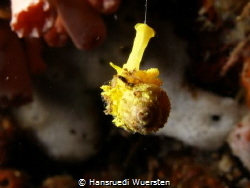 Yellow sea anemones.......and some small guests. 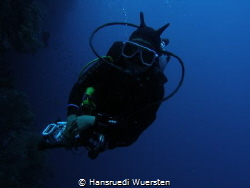 (Compact camera Nikon Coolpix 8400 in Ikelite Housing and two Epoque ES-150 DS Strobes). 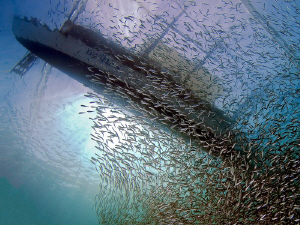 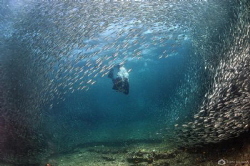 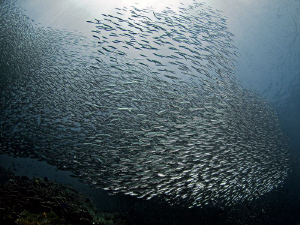 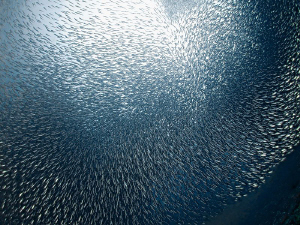 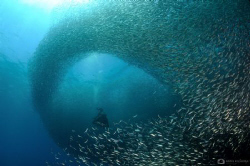 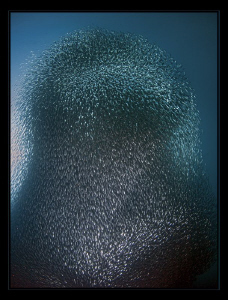 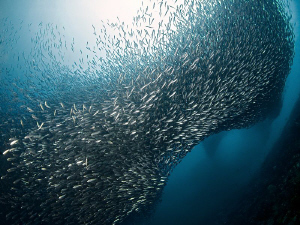 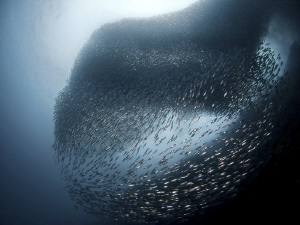 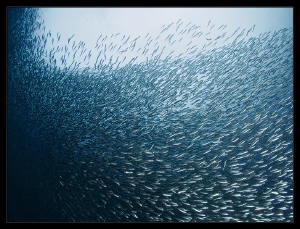 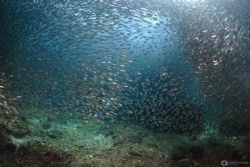 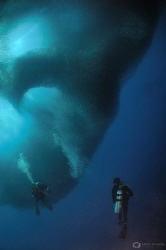 "Sardines Tornado" Like a tornado passing on surface, light was diminishing very fast and it was dark all suddenly. 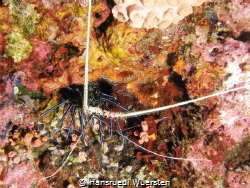 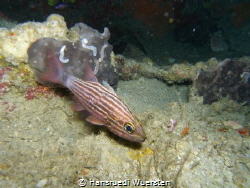 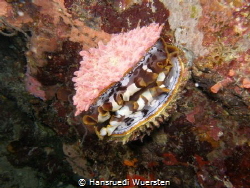 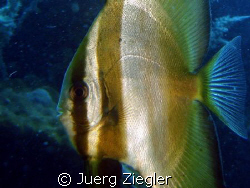 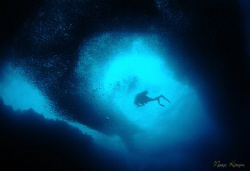 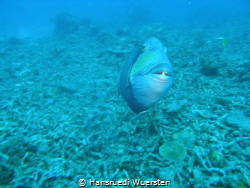 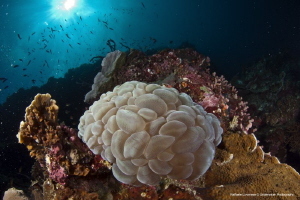 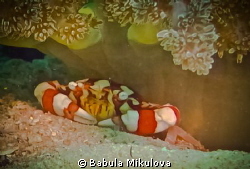 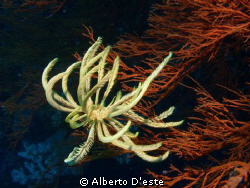 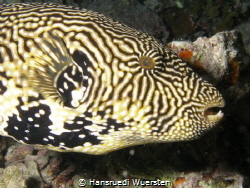 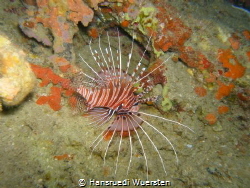 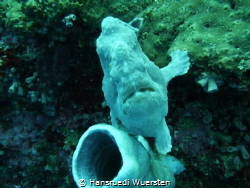 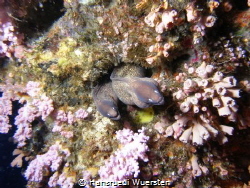 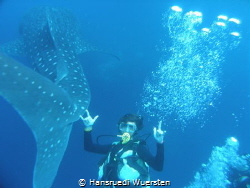 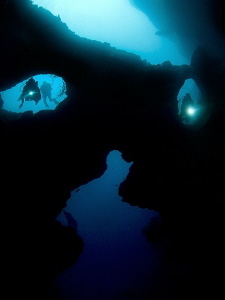 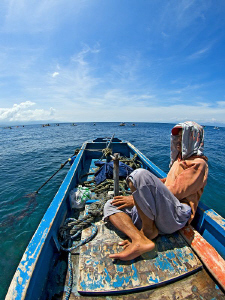 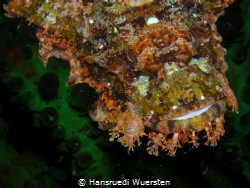 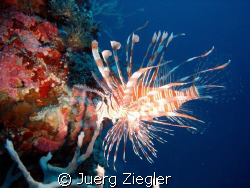 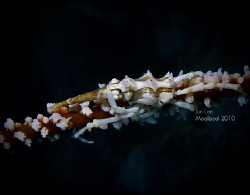 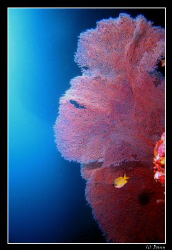 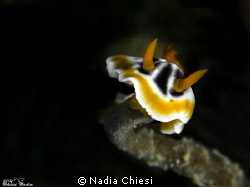 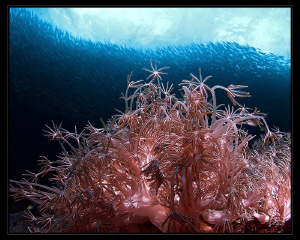 Just before darkening, this picture was taken at Pescador Island, a dive spot of kasai Village, Moalboal, Philippines. 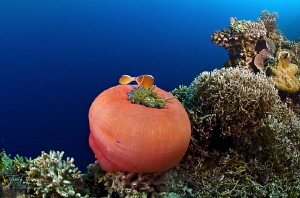 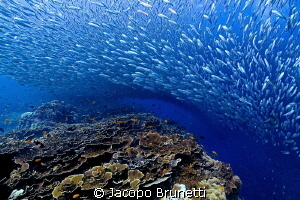 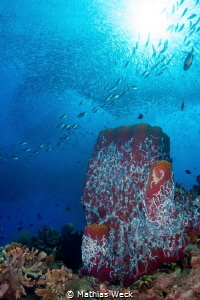 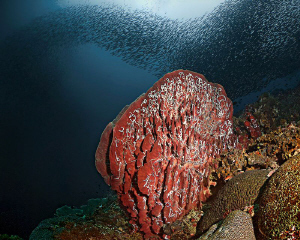 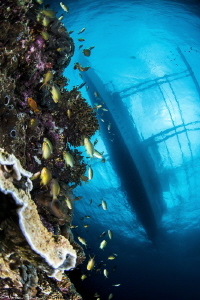 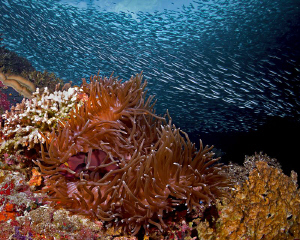 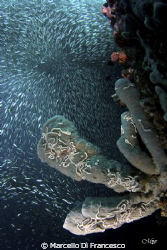 "Octocorals and Sardines" seen at the wonderful Pescador Island and taken with the 8mm fisheye lens. 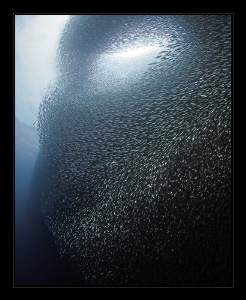 "Alien Face" Amazing, what sardines do to scare you! 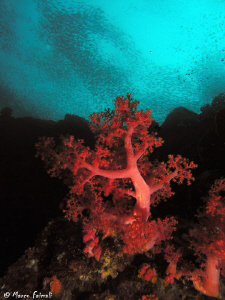 red tree.... (Compact camera Nikon Coolpix 8400 in Ikelite Housing and two Epoque ES-150 DS Strobes). 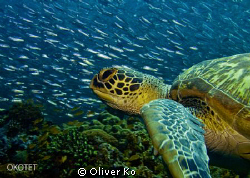 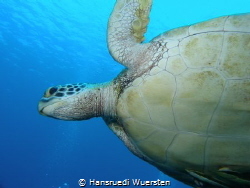 found this turtle on the reef swimming with a swarm of sardines as the background. 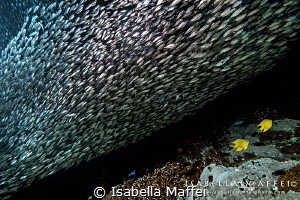 shot with a 450d, 18mm lens, one strobe. 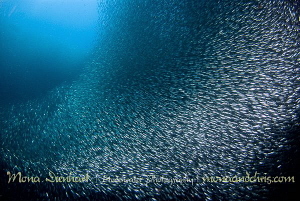 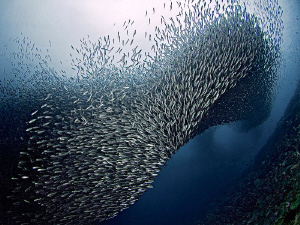 "Anemone and Sardines" From the Pescador Island's school of sardines. 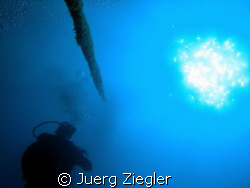 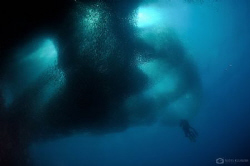 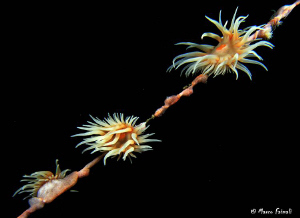 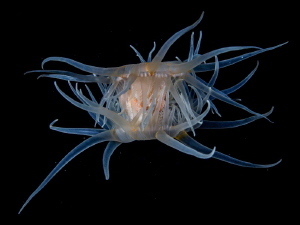 A chain of salps in mid-water off Pescador Island, Philippines. 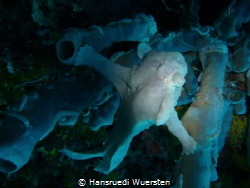 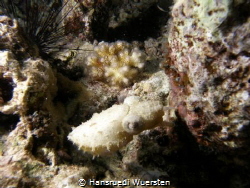 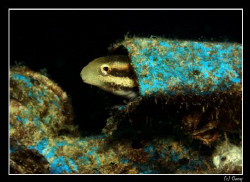 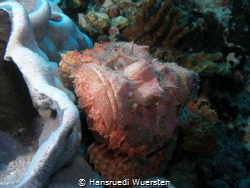 The octopus was trying it's best to go unnoticed in a wall face of Pescador Island, Moal Boal. 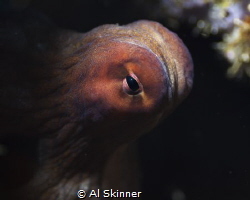 I wanted to capture the eye of the octopus peering out at me, and thinking "has the diver seen me?"